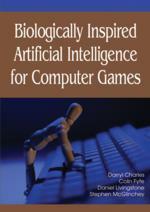 We now consider the problem of introducing more intelligence into the artificial intelligence’s responses in real-time strategy games (RTS). We discuss how the paradigm of artificial immune systems (AIS) gives us an effective model to improve the AI’s responses and demonstrate with simple games how the AIS work. We further discuss how the AIS paradigm enables us to extend current games in ways which make the game more sophisticated for both human and AI. In this chapter, we show how strategies may be dynamically created and utilised by an artificial intelligence in a real-time strategy (RTS) game. We develop as simple as possible RTS games in order to display the power of the method we use.